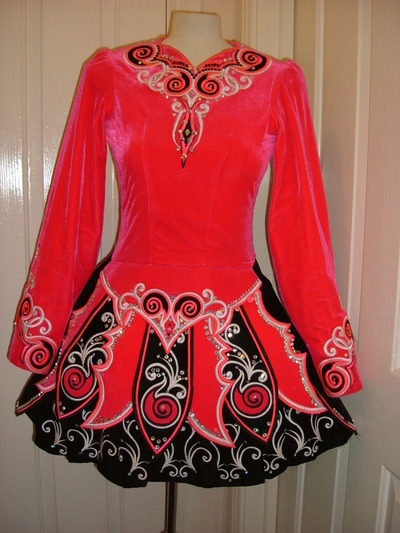 Pink velvet bodice and sleeves with white and black design. Black skirt with pink and black panels. 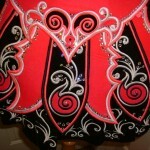 White applique throughout dress design. 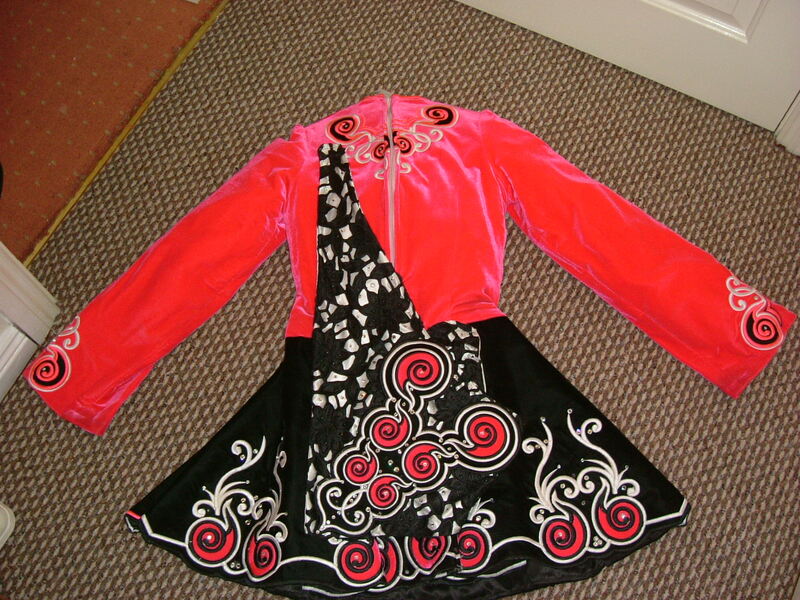 Conner/Triangular Cloak consists of black lace with white background incorporating pink and white design. 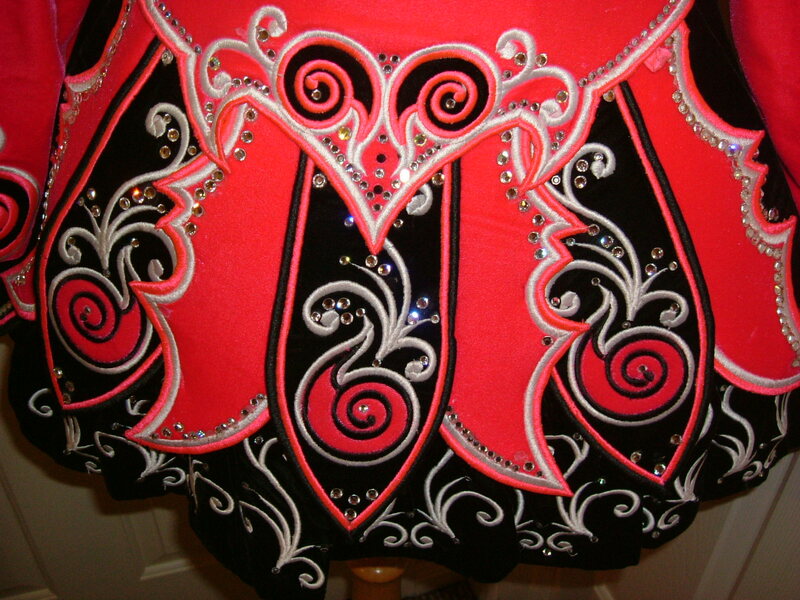 Swarovski Diamonds used throughout dress. Skirt can be let down and there is a let out at the zip. Asking Price: £450. 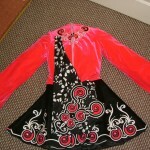 Shipping costs are included in the asking price for worldwide shipping.